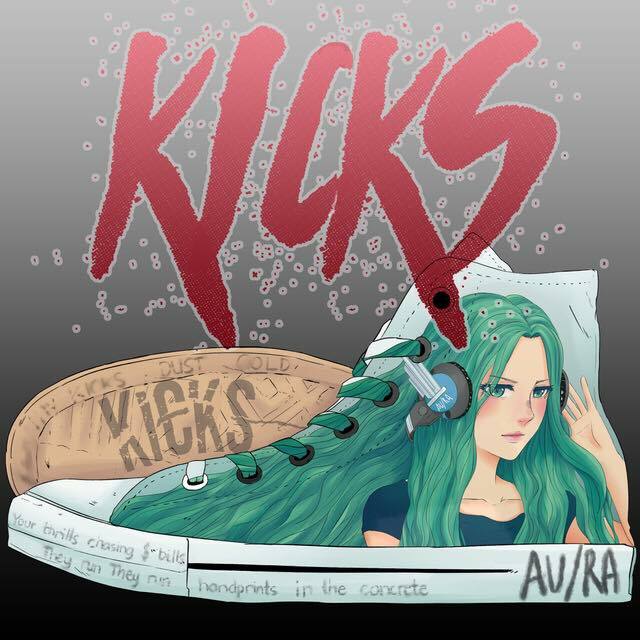 The last time I heard a song called 'Kicks' it was from Lauren Aquilina and I was severely underwhelmed and for a reason that makes very little sense indeed, that permeated through to this new song, called 'Kicks'. "Oh, it's got the same name as that other song? Well it probably won't be that good." WRONG. This is an atmospheric, alt-pop (is that okay? are you allowed to call things "alt" now? not sure, I've done it anyway) jam channelling Lorde and Halsey with some pretty cool looking artwork. Sounds good, huh? I read somewhere that Au/Ra is fourteen years old but I can no longer find where I read that and to be quite honest that just seems like the most absolutely insane thing to me. So we'll call it an alternative fact, for now. 'Kicks' is also only her second single which is another pretty insane thing to contend with. 'Kicks' feels so current, like, if pushed in the right places, there's absolutely no way this song couldn't be a massive hit, especially with a chorus as huge and catchy as this one. I'm also not sure I can continue without mentioning how stunning Au/Ra's hair is. Considering she was born in Ibiza and raised in Antigua, I'm very unsure of Au/Ra's heritage (I mean, not that it matters at all) but it's worked absolute wonders for her mermaid like aesthetic.